There are plenty of software approaches to tracking who one spents time for billing and productivity (or just plain personal improvement) reasons. 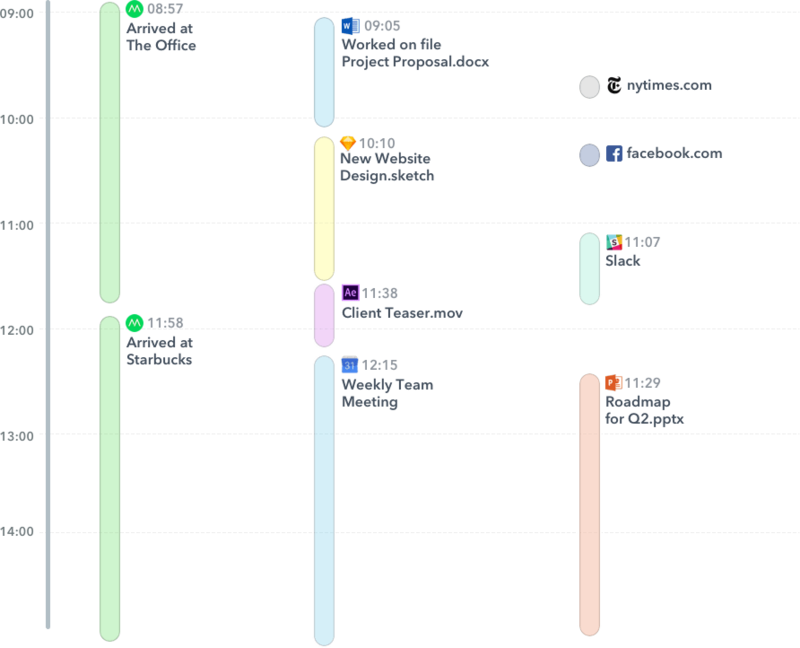 Memory is a new app from Timely, that aims to be an improvement over widely-used RescueTime in that it offers a better presentation of were you spent your time and that it intergrates with the main product of Timely, called… Timely, which is a manually-entered time tracking app. For existing Timely users, the benefit is that you get information on which apps and files you used during the day and thus be able to keep more accurate logs of what you were doing during the day. In comparison, RescueTime (on it’s non-free plan) also does tracking on files and browser tabs (so you can see in the logs “DesignY.doc” and “Cat video — YouTube” but lacks the calendar-style presentation. Timely also promises integration with other apps, like the mobile app Moves, which would give you location data in your log (“where was I today morning?”. There is no iOS/Android version of Timely yet. RescueTime has an Android app which can track uses of app on your mobiles as well. RescueTime also has integrations with other apps directly as well as anything that connects to IFTTT and Zapier (two platforms for sharing data between apps and services). That’s all I could share on Memory as it is now in closed beta, and I’m still on a waiting list. You can sign up here (free — unknown pricing at the moment). This entry was posted on Wednesday, February 1st, 2017 at 9:16 am	and is filed under Productivity, Technology.